Official CW description and preview images with spoilers for the Crazy Ex-Girlfriend episode "I Need To Find My Frenemy"
“I Need To Find My Frenemy” is the title of the March 22 episode of Crazy Ex-Girlfriend and The CW has released a description with some spoilers. Hopefully we will have some photos soon! 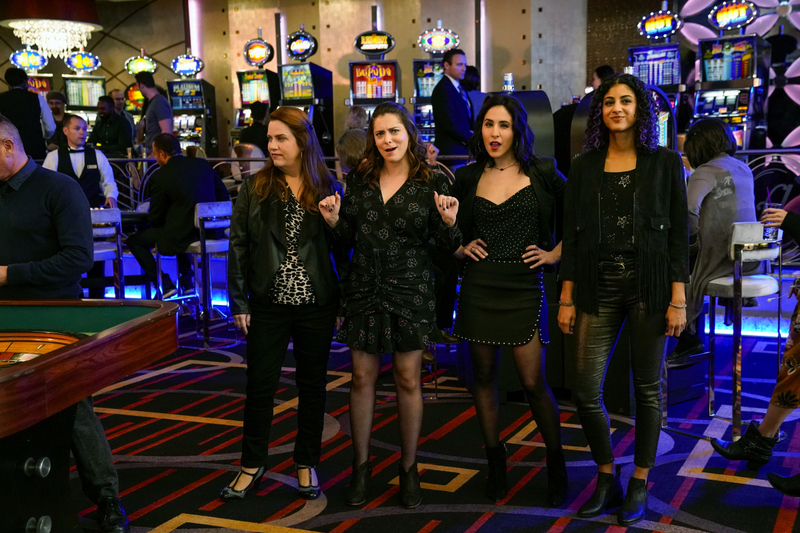 Crazy Ex-Girlfriend -- "I Need To Find My Frenemy" -- Image Number: CEG415a_0019.jpg -- Pictured (L-R): Donna Lynne Champlin as Paula, Rachel Bloom as Rebecca, Gabrielle Ruiz as Valencia and Vella Lovell as Heather -- Photo: Greg Gayne/The CW -- ÃÂ© 2019 The CW Network, LLC. All Rights Reserved.